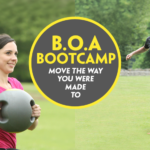 BOA Bootcamp is an outdoor group fitness class run by experienced personal trainer and sports therapist, Simon Beatson. These fun sessions are effective for people of all ages and fitness levels…. French and German Joint Twinning Easter Egg Hunt. Open to all Families.